Angels are benevolent celestial beings endowed with beauty and superior intelligence who act as intermediaries between God and Creation. 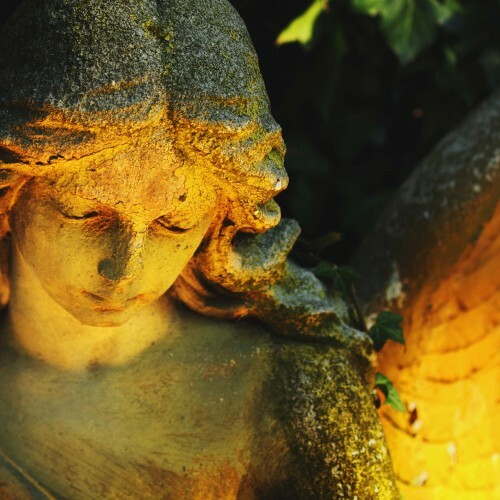 They are often depicted as beings of light with wings or haloes. Our Guardian Angel is said to guide and protect us throughout life and can be called on to help in times of crisis or despair. In Christianity, Islam and later Judaism, angels exist in a hierarchy with Archangels such as Michael, Gabriel, Raphael and Uriel being of high rank. Archetypes are not living beings but symbolise the essence of an idea or form. Archetypes have many varied manifestations: for example, The Warrior is an archetype that many fighters or protectors aspire to embody and is represented in different ways such as the Roman god Mars, the Greek god Ares or in idealised representations of soldiers in painting, poetry, sculpture and music. The psychologist Carl Gustav Jung posited that there is a collective unconscious in which the archetypes exist and that they exert a power over our thoughts, feelings and dreams. We can invoke archetypes into our lives by making space to honour them or by giving form to them in some way, but need to do so safely in order to avoid identifying with them rather than our own humanity.